I made friends with the woman who owns a new cafe in Webster Groves. She’s agreed to have my paintings up in her cafe and sponsor an Art Opening. 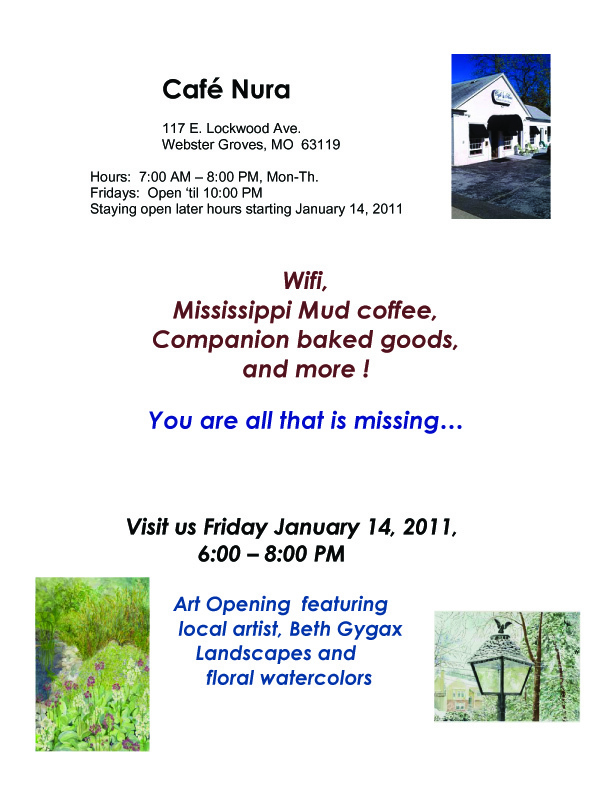 I am so excited, my first Opening… I would love you to come. It might be the perfect venue for your paintings when my show is done!